The Fintech industry has revolutionized the banking industry. 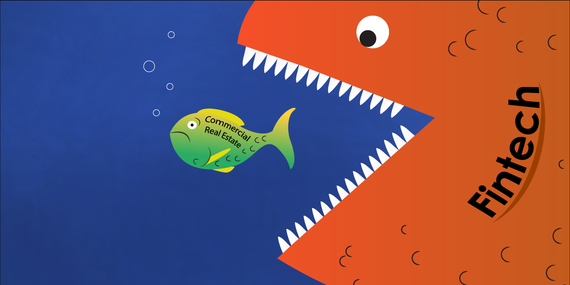 Its far-reaching tendrils have stretched into all areas of lending, which includes the coveted, profitable sector of commercial real estate (CRE). Few divisions in the banking industry can hold a candle to the behemoth numbers that commercial real estate brings to a bank. Not to mention the prestige for a bank to hold accounts of the high net worth people and corporations behind the loans. So, the question is, how scared are banks with the infusion of Fintech banking? Ten years ago, telling a friend you met someone on Match.com was a big taboo; people would make fun of you for meeting online. Couples would make up stories to hide how they really met. Now, with apps like Tinder, it has become mainstream and even encouraged in some circles. Online lending has grown exponentially over the last decade, and more importantly, it has grown more acceptable and trustworthy. If personal loans and home loans can be handled online, why not CRE loans? Adding a few more zeros to the dollar amount does not change the process. An experienced commercial real estate developer has his group of go-to lenders he has built up over the years. But, integration with online lending sources provides a broader reach when searching for lending. You have a developer who can easily be introduced to new lending sources he may have never thought to approach or, maybe, never even knew existed. That newly introduced bank might want to be aggressive in adding this experienced, established developer to its portfolio. For the developer, broader reach means more options. It also means he can confirm his current bank is obtaining the best terms for the developer. Commercial real estate deals take time. The more complicated the loan, the longer it takes. This is the rationale for building a team of bankers so the developer can skip the process of churning through bank personnel to find the right banker to do their deal. 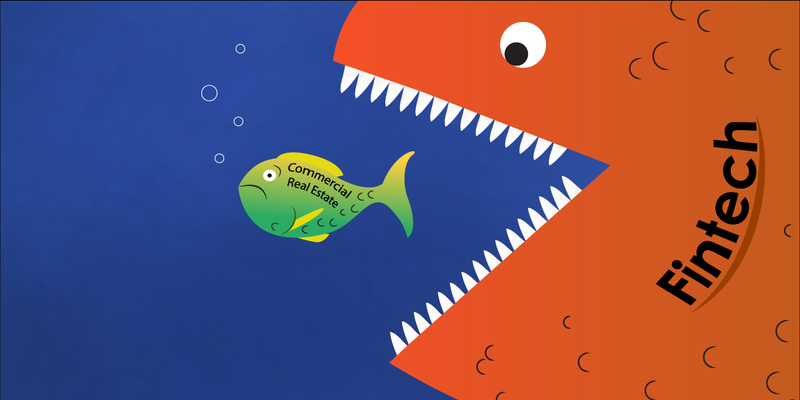 Is their current group of lenders hungry for their CRE loan? Perhaps the bank hit their quota for that loan type and the trusted banker soft plays them until next quarter when the bank needs to fill that quota all over again? Fintech is more than that. Specifically online lending marketplaces are built to cut through the churn, receive proposals from the exact lender who will process the loan and who is hungry for that loan right now. Old school developers enjoy the "Relationship Banking" that yesteryear offered. A CRE banker would schedule some golf time or a nice dinner to discuss business and build rapport. Today's generation does not see the same benefit. They look for different things: ease of process, speed, banker's ability to get through obstacles, and so on. They want the deal done, they do not care who does the deal provided the terms are acceptable. To them, golf on a Saturday in hopes they might sign with a bank two months from now is a waste of time. Online lending speeds up the process which saves developers time and money because the banks are competing and the developer is in control. A CRE developer's mindset is changing from "I am using Bank A because they do all my deals and they have never done me wrong" to "Do I care that Bank A has been in my group of lenders for 15 years but comes at a 1.2% higher rate than Bank B who I met today online? Bank A will not match the rate but rather leans on the history of our relationship." What is 1.2% on a $40M loan? Is that relationship and history worth $480K+? That is up to the commercial real estate developer to decide, but we can all guess the resounding answer is "No." Are banks scared of Fintech's spread into commercial real estate lending? They should be. They should take that fear and use it to create opportunities. The Fintech monster was born and has grown into every facet of the lending marketplace. It is up to the banks to decide if they want to put a leash on it or end up in its jaws. This post originally appeared on The Whole Magilla and was written by Andrew Flippo.